A private cerificate ensures your brand and can come in many falvors. All private certificates can be installed into Fastly. Contact your GlobalDots account manager if you want this. 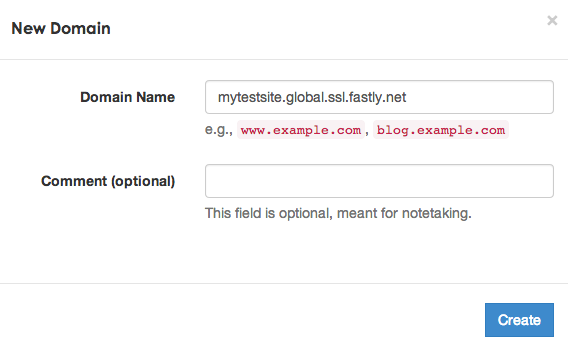 A shared certificate creates an alias for your domain on a SAN certificate owned by Fastly. Contact your GlobalDots account manager if you want this. A shared domain certificate appends your identification to the Fastly domain, does not require certification, and is free to use. Please note that if you DNS alias your own domain (www.mytestsite.com) to that name (mytestsite.global.ssl.fastly.net) an SSL name mismatch warning will appear in the browser.